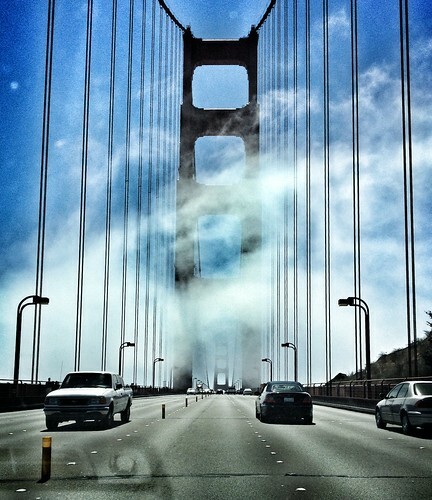 San Francisco pulled out all the stops today as we drove in to run a few remaining errands. It truly is paradise, and no small amount of my dread of returning was the concern that I’d feel regret for leaving. I don’t. I miss our loved ones so much, but it was absolutely the right move for us as a couple and each of us individually. Visiting San Francisco is a joy, and I will be glad to do it again next year. Now I am ready to go home. Our next year goal is to meet u in SF for a visit. This year’s goal is Dec grad! Is Scotland a permanent move, or something temporary for FunkyPlaid’s school/career? Not really an either-or situation at this point. FunkyPlaid is in a doctoral programme here and so we will be here for years and potentially indefinitely.